The National Weather Service depends on accurate reporting of severe weather in its mission to protect lives and property. We would like to hear of any significant weather phenomena that you observe, though we are particularly interested in receiving timely reports of tornadoes, one inch (quarter-sized) and larger hail, wind gusts of 58 mph or more, and flash flooding. Winter weather reports, including hazardous road conditions and snowfall are also very helpful. 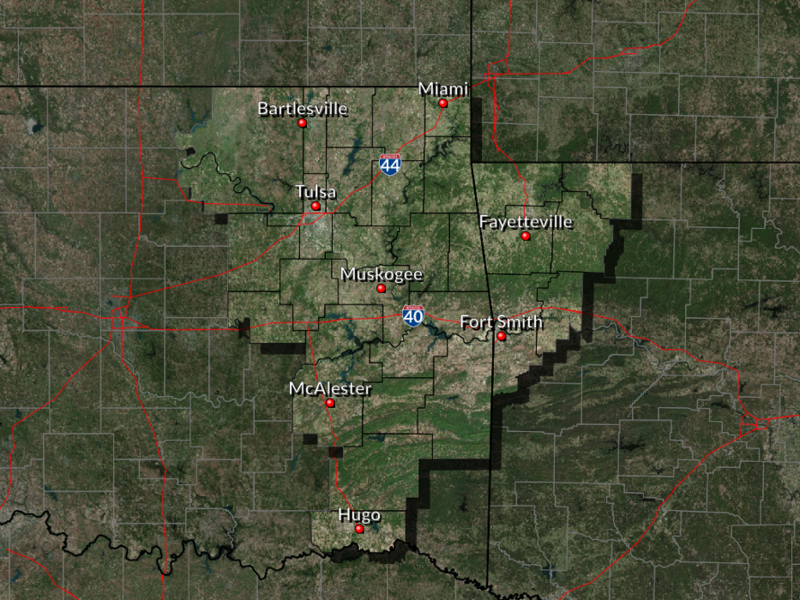 The National Weather Service in Tulsa serves the counties depicted in the map at the bottom of this page. When posting weather reports to social media, it is helpful to include the hashtag #okwx for Oklahoma or #arwx for Arkansas reports. When timeliness is not an issue, you may send weather reports and photos to our webmaster at SR-TSA.webmaster@noaa.gov. From time to time, we receive weather photos that would enhance our severe weather training, outreach, and other education efforts. If we may use the photos that you send us for non-profit purposes, please let us know. We strive to include photo credits whenever possible.